Competition standard hurdle, conforms to I.A.A.F. and UK Athletics height and toppling force regulations. Tubular zinc plated steel base construction. Fully enclosed adjustable weights in hurdle feet. Height adjustable aluminium uprights from 685mm to 1067mm in set increments. Q: How much does the Competition hurdle weigh? 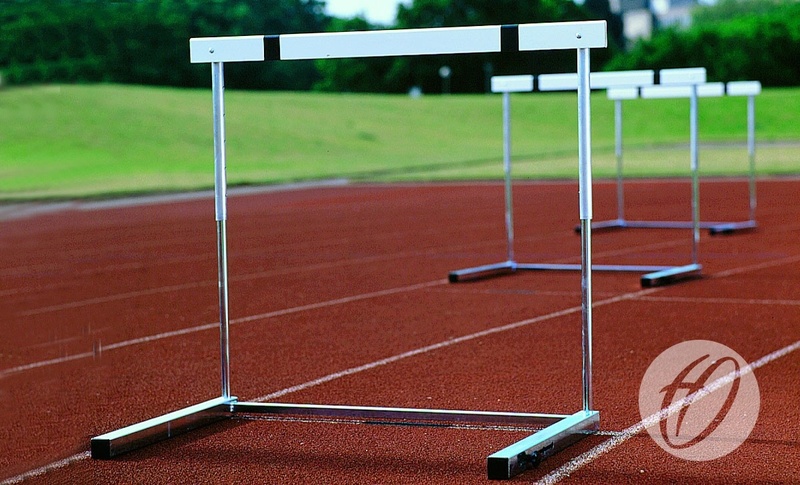 A: Our H6 Competition hurdle (HUR-006) conforms to I.A.A.F and UK athletics height and toppling force regulations. 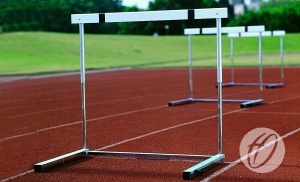 Each hurdle weighs 12 Kg.